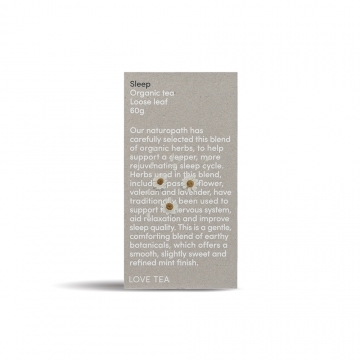 A soothing and calming blend of therapeutic herbs, to help you relax and enjoy deeper, more rejuvenating sleep. 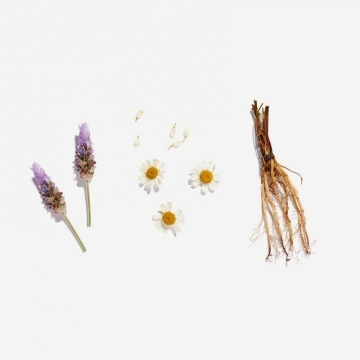 Our naturopath has carefully selected this blend of organic herbs, to help support a deeper, more rejuvenating sleep cycle. 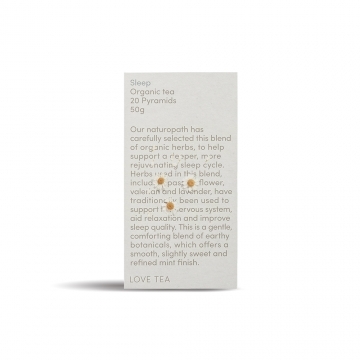 Herbs used in this blend, including passion flower, valerian and lavender, have traditionally been used to support the nervous system, aid relaxation and improve sleep quality. 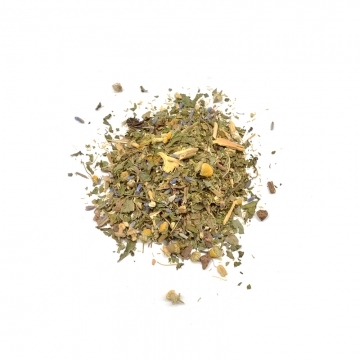 This is a gentle, comforting blend of earthy botanicals, which offers a smooth, slightly sweet and refined mint finish. 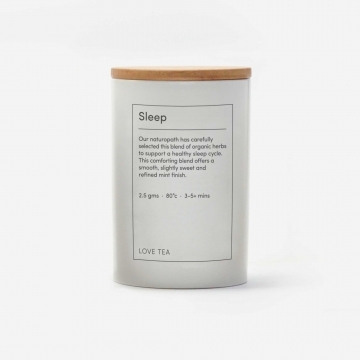 This blend is caffeine free.